...second room and living room. Cookerod andb, kitchen cabinet and water heater. Call or Whatsapp Tim at 016-221 3--- for viewing arrangement. 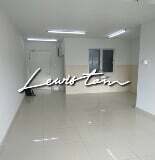 ...Kajang, Cheras Sentral, MRT station, Leisure Mall, Eko Cheras Mal, Taynton View. Pls. call Steven Cheong: 0162190--- or 0123869--- for viewing.